Originally appearing at chicagotribune.com on Dec. 22, 2014. Funds made available by the dissolution of Willowbrook’s sole tax increment financing district have been going to village institutions. “Certainly that helps us do something here with those additional dollars coming to the library,” said Jamie Bukovac, director at Indian Prairie Public Library District. 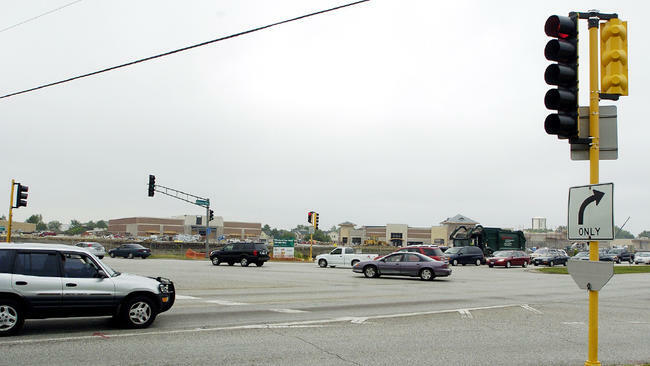 Originally created in the 1990s, the village’s TIF district, officially known as the Route 83 and Plainfield Road Redevelopment Project Area, was created to help develop the parcel of land where the Willowbrook Town Center now stands. On Aug. 12, the Village Board voted to formally dismantle it. “It was a 24-acre site with numerous site issues. There was a critical wetland on the property and contaminated soil from an old fuel refueling station,” said Tim Hali, Willowbrook’s village administrator. A huge amount of work went into converting the parcels of land on the site for retail use, he said. “Before the TIF, when the village would try to attract a developer they would look at the site and numbers wouldn’t work for them,” said Halik. TIFs are a way for municipalities to use anticipated increases in tax revenue because of redevelopment, infrastructure improvement and similar projects to fund those projects in the present. When a TIF district is created property owners within it continue to pay the same property tax rates as those outside the district. However tax collections over and above the “base value” are placed into a special fund used to pay for project costs. After all costs incurred for the improvements are recovered by the TIF, the district is closed and the property taxes — presumably higher — are shared by all taxing entities. Over a TIF’s lifetime, usually about 23 years, property taxes continue to be collected with normal rate increases, but the increment between the “frozen” first year rate and current rate is diverted to pay for property improvements within the TIF district. The current taxable value of properties within the TIF district is expected to be shared with schools, park districts, county government and other units of government levying property taxes effective with the tax levies approved in 2014. The village does not levy a property tax, but relies instead on revenue from sales, fuel and other taxes and fees to fund its municipal operations. “That TIF was actually created, I think, three managers ago,” said Halik. Bernard Oglietti was the village manager back then and he faced considerable opposition from the Gower Elementary School District 62, the Indian Prairie Library District and the Tri-State Fire Protection District because they would not realize any increase in tax money from the proposed development for about nine years. Halik said that even once the TIF was created, it took the village a while to make the land suitable for development because of the groundwater contamination from a fuel depot that was there in the 1940s, and the wetland. “Harlem Irving Companies took a good hard look at the site to mitigate the wetland off site and address the soil contamination issues and then they jumped feet first into the public improvements with DuPage County and IDOT,” he said. The village issued a $1.8 million bond in 2007 to help clean up the site and money generated from the TIF was used to pay back those costs. The TIF, he said, was instrumental in getting the site ready for development. Willowbrook’s annual tax increment finance report for the 2014 fiscal year shows the TIF was able to generate a cumulative total of $3,978,030 in its lifetime. Moreover, in the 2014 year it generated $806,039 and after fees, distribution of the surplus and expenditures, only $155,336 remained in the fund. “Each year DuPage County, when they send us a report of the money we receive in property taxes, they would always note how the TIF district was impacting that,” said Bukovac. This year is was a difference of $18,532.61. The library district’s budget is $3.5 million and Bukovac said it was hard to say how it would use the additional $18,500. Additionally, the village is expected to receive about $600,000 in sales taxes from Willowbrook Town Center at the end of 2014.